Procter and Gamble Research Papers discuss an article about the new philosophy for an operation that is being applied. Research papers on topics like Procter and Gamble are often difficult to write. We help get you started. For example, an author, in the article, “Procter and Gamble Net Rises 16% on Cost Cuts, Pricier Products”, claims that Procter and Gamble is really doing well in its chosen areas of business. The company has applied a new philosophy for operation, namely cutting cost and competing in the pricier goods market. The results have been spectacular for Procter and Gamble, achieving good sales and high profit margins for last quarter. 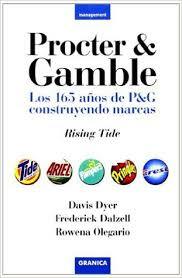 Procter and Gamble sells basic consumers products. Some of the goods are well known: Pampers diapers, Crest toothpaste, Pantene hair products, Clairol hair products, Olay skin crèmes, and Max Factor makeup. The company has been pushing hard to bring down costs. The results have been outstanding: 16% rise in net income. Net income for the quarter is up to $1.04 billion from $0.893 billion for the same period last year. Net income is also up 74 cents per share compared to 63 cents per share for the same period last year. 4% rise in sales from last quarter. Total sales for the quarter up to $9.9 billion from $9.5 billion from a year ago. Overall, Procter and Gamble’s efforts in being more competitive have paid off. The stock hit a 52 week high in mid-April reaching $92.74 per share. “Since taking over the Cincinnati Company in June 2000, Mr. Lafley has shed and purchased brands, looking to concentrate on higher margin products and P&G’s biggest brands”. Procter and Gamble is making the right decision to concentrate on pricier products. Firstly, since Procter and Gamble operate in mature markets, shampoo and makeup, it must concentrate on higher end products. For the lower end products, the life cycle is nearly complete. Thus, Proctor and Gamble is receiving much competition from at home and abroad. The lower end products are standardized and require only minimal technology. Paper Masters writes custom research papers on Procter and Gamble and discuss an article about the new philosophy for an operation that is being applied.